Life in our Senior Prep is exciting, challenging and progressive. We are ambitious for our children and our activities are guided by the core belief that acquiring a love of learning is vital to leading a personally fulfilled and socially engaged life. Our teachers are passionate about their subjects and encourage curiosity and involvement to ensure that each pupil fulfils their academic potential. Children in our Senior Prep experience a rich and stimulating education offering breadth and depth in key subjects including: English, Mathematics, Science, French, History, Geography, Religious Studies, Drama/Theatre Studies, Art, Music, Technology (incorporating Information Technology and Design Technology), Classical Civilisations, Spanish, Latin (and Ancient Greek by invitation) and Physical Education. Their timetable is reinforced by our distinct and varied list of co-curricular opportunities, where many of their activities over-lap with our Form 9 to 11 interests. Our Senior Prep curriculum accentuates personal enquiry, independent thinking and social awareness. 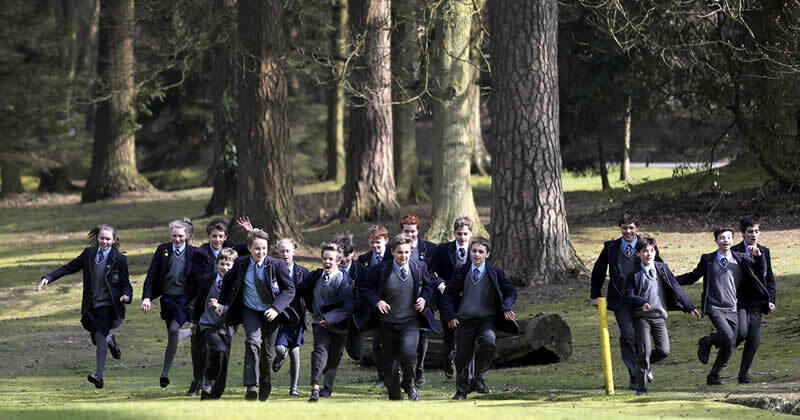 In line with the school’s progressive programme of team-building and leadership, our Form 8’s assume particular responsibilities in and around school which can lead to the appointments of prefect and head of school. Such accolades bring with them accountability and obligation, traits key to the on-going development of their individual personalities. Click on School Life to learn more about life in Forms 7 and 8 and for information on our Forms 9 to 11 please navigate to our Senior School tabs.